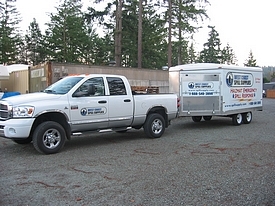 Fully Equipped Trailers for Spills of 7,000 to 10,000 litres or more. 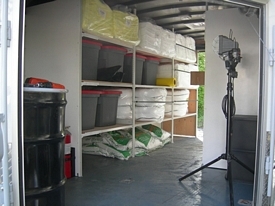 Delivery available anywhere in Western Canada - BC, Alberta and Saskatchewan. Personal Protection Equipment (goggles, gloves, coveralls, etc. 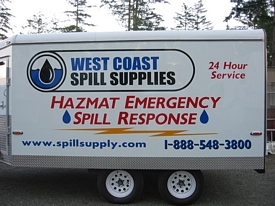 Please contact us for more information on pricing and availability in BC, Calgary, Edmonton, Alberta or Saskatchewan on our Oil Spill Response Trailers.